In the framework of the Near East-support program of North Rhine-Westphalia the research group of Professor Edda Tobiasch welcomes this year again a student from Jordan. Sarah Hani Shoushrah is going to support a PhD student in his project. The scholarship holder Sarah Hani Shoushrah managed to assert herself against eleven other applicants for the scholarship. She got the opportunity to work at a project in the field of regenerative medicine. Since Hochschule Bonn-Rhein-Sieg was founded in 1995 and has therefore modern equipped laboratories, she can improve her skills in state-of-the-art techniques. At Jordan University of Science and Technology in Irbid, Sarah is studying medical laboratory sciences, diagnostic molecular biology & human genetics. She was in the process of working on her master thesis which she interrupted for her stay in Germany. 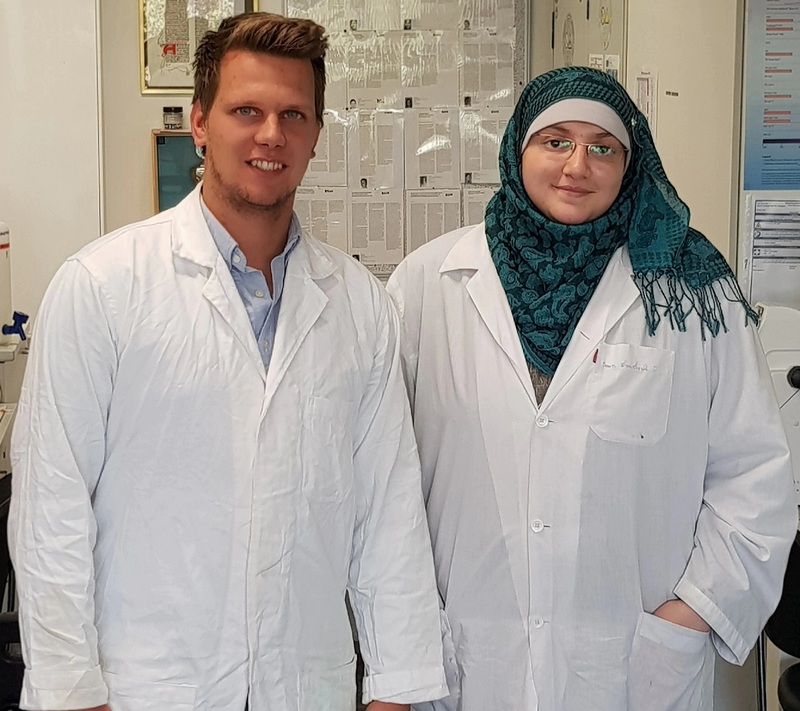 At the university’s campus in Rheinbach she is going to help the PhD student Christian Tonk to test a potential drug against osteoporosis by investigating the effect of inhibitors against the cysteine protease cathepsin K during the differentiation of mesenchymal stem cells towards osteoblasts.